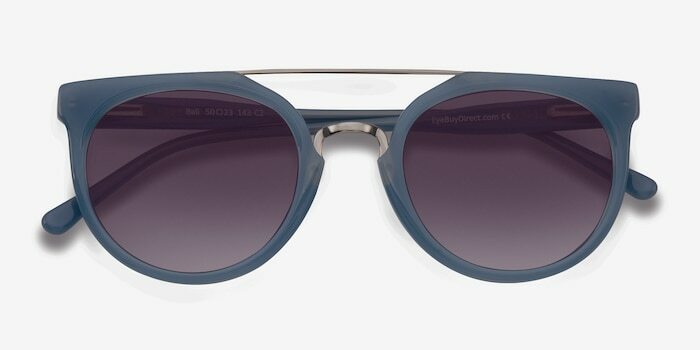 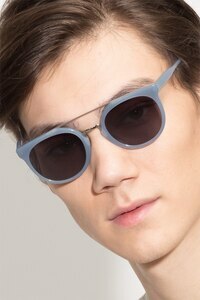 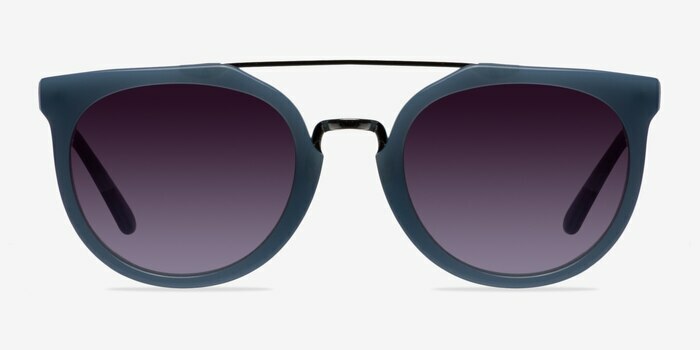 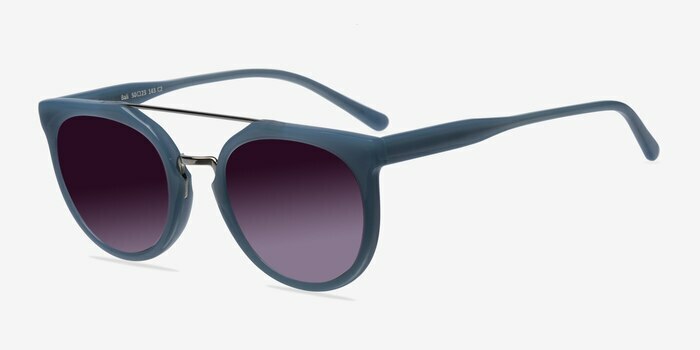 Luxury meets fun with these blue and silver sunglasses. 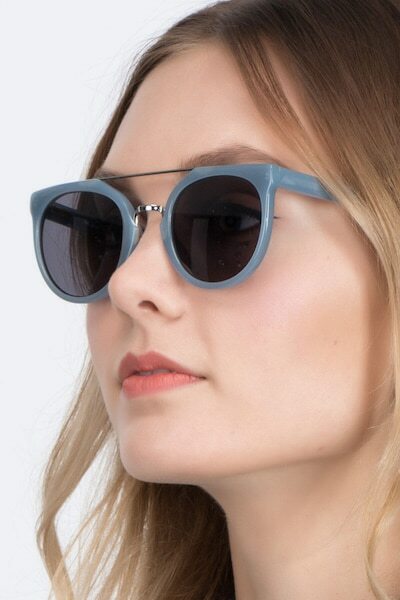 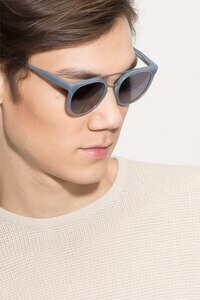 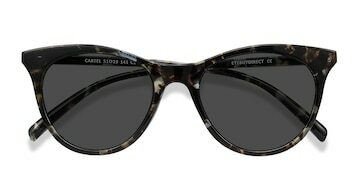 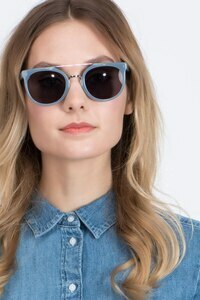 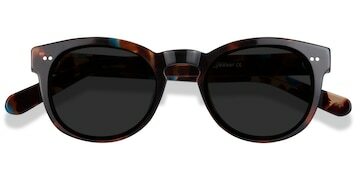 This California inspired style features a fresh opaque light blue acetate finish throughout with round shaped lenses. 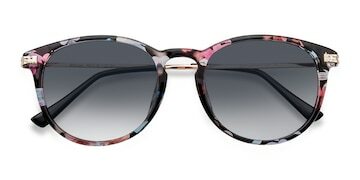 The silver emphasized double nose bridge adds a touch of glitz. 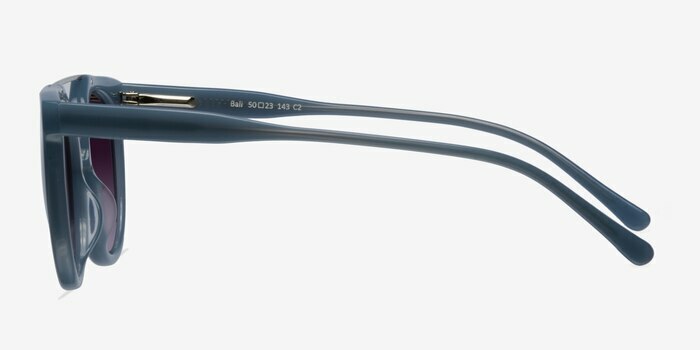 Flexible spring hinges ensures all day comfort for both men and women.